Iceland Day Tours – Akureyri – The Great Canadian Travel Co.
We know everyone is interested in different tours when planning their trip to the island. Take it from us, this sampling highlights some of the most popular day trips you can choose, but there are many more excellent options not listed. Tell us what activity you are interested in and we can match up the tours that best suit your needs. We offer tours starting in Reykjavik or Akureyri, or if you’re on a self-drive, in numerous places along the way. Just ask! Seasonal – please contact us for more details. Most pricing is shown per person in ISK (Icelandic Kronur). Prices are based on seasonality and are subject to change by the tour operators without notice. Entry fees may apply that are not included in the rates. Cross the Arctic Circle to Grimsey Island. Grímsey Island is bisected by the Arctic Circle and lies about 40 km away from the mainland. It is surrounded by stunning cliffs from where it slopes gently southward to green fields and pastureland. All around the island are bird cliffs where a multitude of sea birds nest. All in all about sixty species of birds can be found on this fascinating island. Close to Basar farm on the island’s northern half, a signpost at 66 degrees and 33 minutes north marks the Arctic Circle. Travellers can get a certificate from the local authorities to show that they have crossed the Circle. Experience the Original Húsavík Whale Watching tour that has built a reputation for the town of Húsavík which has been coined “the Whale Watching Capital of Iceland”. Discover the magnificent nature of Skjalfandi Bay observing whales, dolphins and sea birds in their natural habitat. Enjoy the smooth, safe sailing in a traditional Icelandic oak boat, guided by our professional crew especially trained in responsible conduct with whales, and treat your self to a cup of hot cocoa and a cinnamon bun. 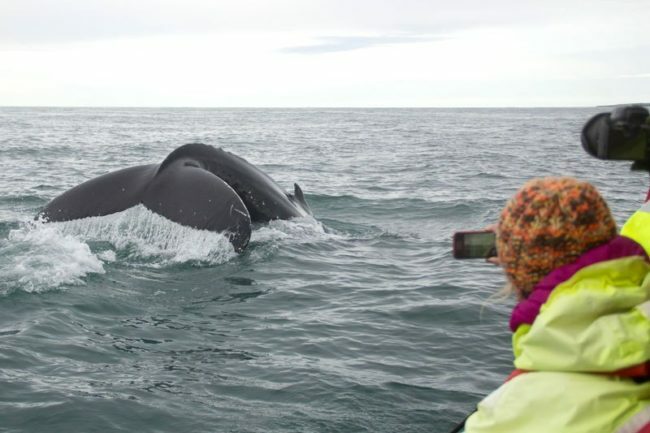 Recommended by thousands of satisfied travelers worldwide, the Original Husavik Whale Watching tour is an authentic wildlife adventure by the pioneers of whale watching in Iceland. Operates Daily from March 01 – December 15. Also available as a Carbon-neutral tour from May 1 – September 30. How could the Husavik Original Whale Watching tour possibly get better? By sailing around Puffin Island, of course, summer home to thousands of puffins. Sail for a little over 3 hours on our traditional oak boat where you can discover the magnificent nature of Skjálfandi Bay observing whales, dolphins and puffins among other sea birds in their natural habitat. The Húsavík Original Whale Watching and Puffins is an ideal choice for families. It is an authentic wildlife adventure by the pioneers of whale watching in Iceland. Operates Daily from April 16 – August 20. Step aboard, hoist the sails and participate in a real sailing adventure on board one of our authentic and traditional sailing ships. Discover the magic of the ocean in this beautiful autumn sailing on board our traditional Icelandic schooner. This tour is a nice opportunity to enjoy the wild nature while getting to know old ways of sailing and discovering the sailor in you. Operates Daily June 1 – September 15. Try a unique whale watching tour from the charming village of Hjalteyri, a well kept secret in the heart of North Iceland, only a 15 minute drive from Akureyri. Surround yourself in history and visit the old village of Hjalteyri, which has a population of 43 inhabitants. Step aboard our traditional oak boat, Knörrinn, North Sailing‘s first whale watching boat, for a quiet sailing in the calm seas of Eyjafjörður, a favourable habitat of marine life. This tour gives you the unique opportunity to get in touch with the great wildlife of the North, including whales and seabirds, all under the guidance and expertise of our most qualified crew. The old herring meal and oil processing factory in Hjalteyri was the largest of its kind in Iceland. The factory shut down in 1966 and now hosts various activities. Enjoy the scenic surroundings of Hjalteyri and experience the aura of old times. Hjalteyri is a well kept secret in the heart of North Iceland. You can also join this tour with a short return bus ride from Akureyri. Operates Daily May 1 – September 30. This tour is a Northern Lights hunt experience. To go into the dark, frozen winter night and observe an unbelievable display of colour, light and texture, is like waking up in a fairy-tale, full of mystery and magic. We drive out to the countryside or up to the mountains, away from electric glow and city sounds. You will be able to enjoy the beautiful night sky at the best possible situation, of course depending on weather. The Northern Lights, or the Aurora Borealis, are a natural phenomenon visible in the Northern Hemisphere. A unique display of light caused by a particle collision in the magnetic field of the polar caps. The Diamond Circle Classic tour takes you on an unforgettable journey through Iceland’s most catastrophic and diverse area, rich in volcanic and geothermal features. The stunning beauty of Lake Mývatn has been the main attraction in the north for decades and east of the lake we enter the highlands arriving to Jökulsá Glacier River in Vatnajökull National Park. The breathtaking landscape of Jökulsá is formed by massive glacier floods from Vatnajökull, Iceland’s biggest glacier. The canyons and rock formations visited in the Diamond Circle tour are impressive on their own but the iconic Dettifoss waterfall, the most powerful waterfall in Europe, is nothing short of majestic. The tour takes us north to the Arctic Coastline where we explore the canyon formation Ásbyrgi and drive along the coastline to the beautiful fishing village of Húsavík. Diamond Circle offers the best Iceland has to offer, powerful waterfalls, stunning nature, active geothermal areas and vivid bird life. Sit back and enjoy our expert local guidance through this magical, rough terrain. From June to the middle of August, we stop at Tjörnes Peninsula where we can observe puffins nesting in the impressive cliffs by the coastline. The Lake Mývatn area is by many considered the most beautiful place in Iceland. This has been one of Iceland’s most popular tourist destinations for decades and for a good reason. An amazing journey through an area of extreme contrasts and nature’s diversity. Stunning bird life, flora, geothermal activity, geology and saga. The lake area has been a filming location for major Hollywood films and TV shows, such as Game of Thrones, Fast & Furious and Star Wars. We drive east from Akureyri, cross Eyjafjörður fjord and enjoy the view of the town, the ocean and the mountains surrounding the fjord. After only a half hour drive we arrive at the picturesque Goðafoss Waterfall where we stop before we travel for another half hour to the Lake Mývatn area. We explore the pseudo-craters of Skútustaðagígar where we enjoy the great panoramic view of the area. For the next hours we visit local nature highlights, such as Hverir Mud Pools, Mt. Námafjall, Dimmuborgir Lava Fields and Grjótagjá, the rift between the Eurasian & American Continents. Before returning back to Akureyri we visit the Mývatn Nature Baths, located in the middle of lava fields where you can soak in a relaxing geothermal lagoon. The entry fee is not included in the tour price, but can be added upon booking the tour or paid on site. We stop for at least 1 hour at the Nature Baths. Lake Mývatn & Snowmobile Adventure from Akureyri is a combination of a sightseeing tour and a snowmobile adventure. The perfect winter activity! The day starts with a pickup in Akureyri by our local guide. The trip to Lake Mývatn is just over an hour, during you might stop at the magnificent Goðafoss Waterfall (sometimes the guide stops on the way back). Once in Lake Mývatn you will be greeted by our snowmobile expert. You will get helmets, coveralls and boots and of course instructions how to operate the powerful snowmobiles. The snowmobile tour will either take part on the lake itself our in the mountain hills surrounding the lake. After about 30 minutes of adrenaline rushing snowmobile adventure you will meet our guide again, in time for a relaxing bath in the Lake Mývatn Nature Baths(admission fee for Baths is not included). After the relaxing and warm soak we head back to Akureyri, returning around 5 pm. 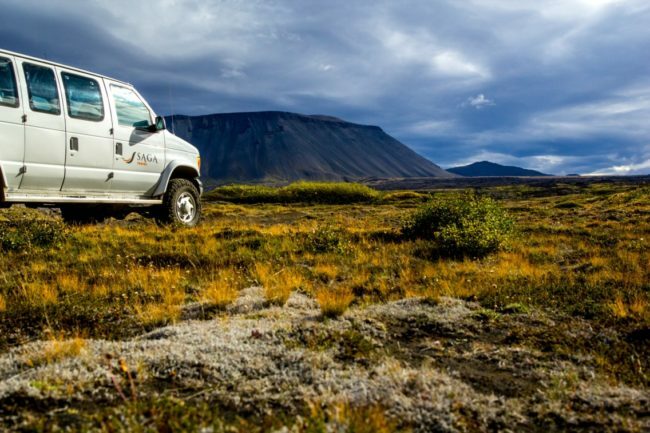 This tour is combined on the same coach as the Lake Myvatn Classic tour allowing you to do the tour with or without snowmobiling. Eyjafjordur & Snowmobile Adventure tour that you will not forget. You will enjoy the magnificent Eyjafjörður Fjord, a Snowmobiling adventure and visit to Iceland’s first micro brewery. The tour starts with a pickup in Akureyri and from there we drive north up the arctic coastline of Eyjafjordur Fjord. At the snowmobiling base camp, Kálfskinn Farm, you are met by our snowmobile guide. There you will get geared up and ready for some winter adventure. You will embark upon a 1 hour snowmobile ride with a professional guide. During the tour you will enjoy the view of the mountains of the Troll Peninsula and the beauty of the Eyjafjordur Fjord. Afterwards you will be taken to Kaldi Micro Brewery for a refreshing drink and get a tour of Iceland’s original micro brewery. After a refreshing tour your guide will take you back to Akureyri city just in time from dinner. Here you can book the registration fee for Arctic Open Golf Tournament in Akureyri. The Arctic Open is a 36 hole tournament, played under the Stableford point system over 2 days (nights), 18 holes each day. This championship tournament is open to professional and amateur golfers alike. The Arctic Open champion will be the participant who has the lowest score with handicap but prizes will also be given for the best scratch score, best ladies score and best Seniors score (age 55+). In the event of a tied score, a sudden death will take place at the 18th hole and repeated until there is a winner. Maximum exact handicap for men is 24 and 28 for women. A team tournament is run along the game. Participants will randomly be drawn into groups of four. Prizes will be given for the total three lowest scores of every group. products, along with local food, matched with their brew. Beer Spa is one of “must to do” things in Iceland and is only 30 minutes drive north of Akureyri. We travel from Akureyri north by the coastline, to a small village Árskógssandur, where the only Beer Spa in Iceland is located. It stands next to Kaldi brewery, the oldest Micro Brewery in Iceland and a small and beautiful restaurant for you to enjoy. You’re introduced to the premises, given a bathrobe and a towel and when a Beer-Tub is available it is time for your bathing. The Bath tubs are made from the famous Kambala wood and designed in a way to provide the most pleasure possible. All the Beer-Tubs are in private rooms and are available for one or two persons at a time. Standing next to every Beer-Tub is a beer draught for anybody over 20 years of age to enjoy as much beer as they like. For thous who are looking for more bathing time the outside Infrared Sauna and Hot Tubs are available for a small extra fee that can be added upon booking or paid locally. The tubs are located with a grand view across the Eyjafjörður Fjord and the high surrounding mountains. The restaurant staff members will serve you while you are in the tubs so you can maximize your relaxation time. The bathing water is a non-alcoholic blend of Icelandic Spring Water, Non-Alcoholic Beer, Hops and Yeast. There is no age limit for the baths 16 years and younger need to be accompanied with adults. The perfect tour to fully experience the magic and power of the great Dettifoss Waterfall. We take our time to find the best sights for photographing depending on weather and other conditions during that particular day. The tour starts by going straight from Akureyri to Lake Mývatn where we make a short stop, and you get a chance to see the magnificent area. Then we drive towards Dettifoss Waterfall, going off the main road. We arrive at Jökulsá á Fjöllum glacier river, where a mass of water, mud and sand rumbles into Iceland’s most impressive canyon from Vatnajökull Glacier. 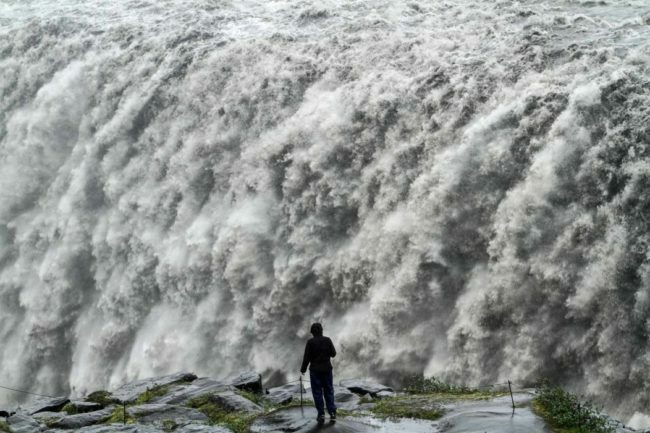 Dettifoss is the most powerful waterfall in Europe, 100m wide and with fall of 44m. There is a short walk from the parking lot to the best viewpoints of the waterfall, and adjacent waterfalls of Hafragilsfoss and Selfoss. If the ground is covered in snow (which it is usually in winter), we use snowshoes to make the hike easier. 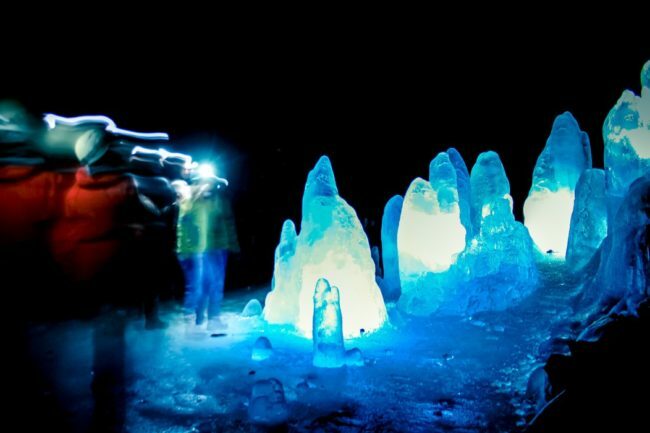 This exciting tour takes you to Lofthellir Cave, a unique lave cave filled with ice formations, stalagmites and sculptures. The tour starts with a scenic drive from Akureyri to Lake Mývatn, which takes around 1 hour and 30 minutes. Upon arriving to Lake Mývatn we exit the main road and enter the wilderness. During the winter season the route to the cave can get rough, due to snow and ice, so we bring along the snowshoes along. 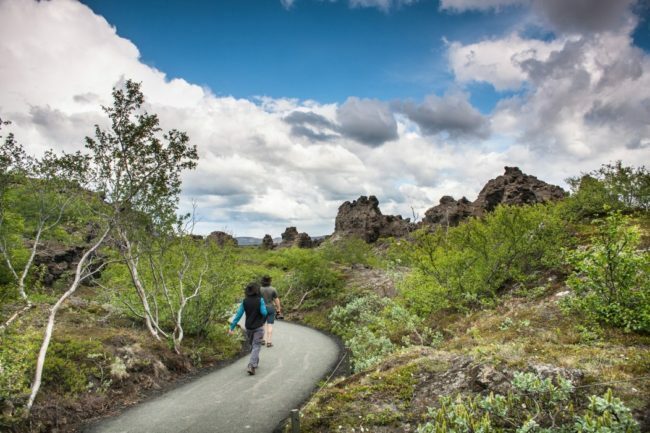 The track is usually around 40 minutes hike across a rugged lava field. 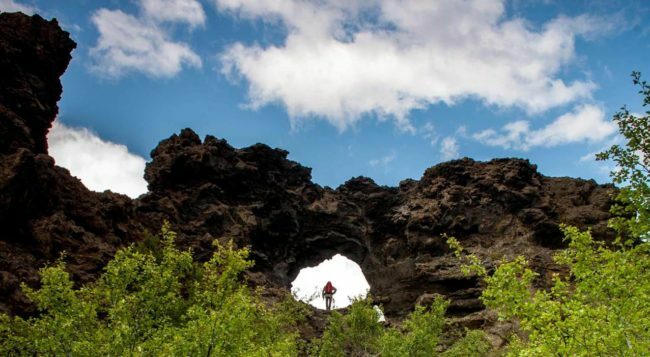 Thus we combine the pristine untouched snow covered lava fields around the cave with an underground exploration. Once at the cave we spend at least one hour inside the cave, exploring the ice formations, darkness and strange atmosphere inside 3000 year old lava tunnel. On route to and from the cave we explore the lava fields and craters around Lake Mývatn, especially the crater row of Lúdentarborgir. On the way back to Akureyri we stop by Goðafoss Waterfall, a beautiful and powerful waterfall in Skjálfandafljót river. You may also join this tour in Lake Myvatn. Get to know the famous Icelandic horse. 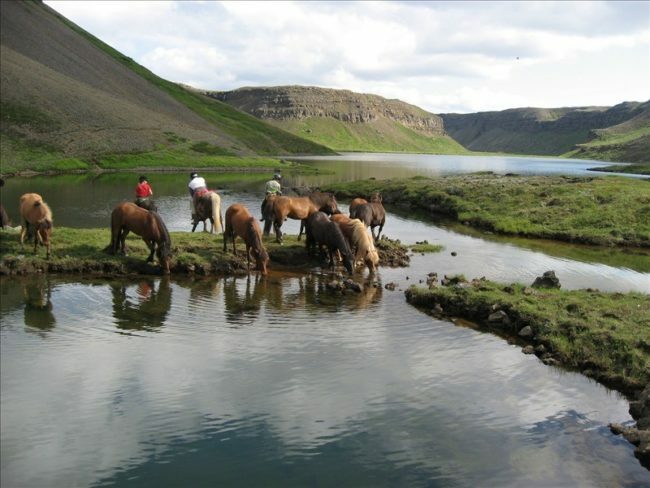 During the 3 hour Akureyri Horseback Riding tour we go to Skjaldarvík Guesthouse, located 10 minutes drive outside Akureyri, for a one and a half hour riding tour in the beautiful surroundings with a view over the sea and fjord. We take it easy so this tour is perfect for beginners but we also provide horses for those with more experience and stamina. You will get to know the Icelandic horse as a magnificent riding horse and off course to ride “tölt” the specific gate which this horse is so famous for. After the riding tour you are welcome to stay at Skjaldarvík, the restaurant offers lunch, dinner and light refreshments. This Askja Caldera tour is the perfect to experience the barren interior and the lunar-like landscape of the Icelandic highlands. The Askja area is one of the main location where NASA trained their Apollo Astronauts before the first lunar landing. Iconic landmarks such as Herðubreiðalindir Oasis and Drekagil Gully are visited and number of other off the map sights and places. 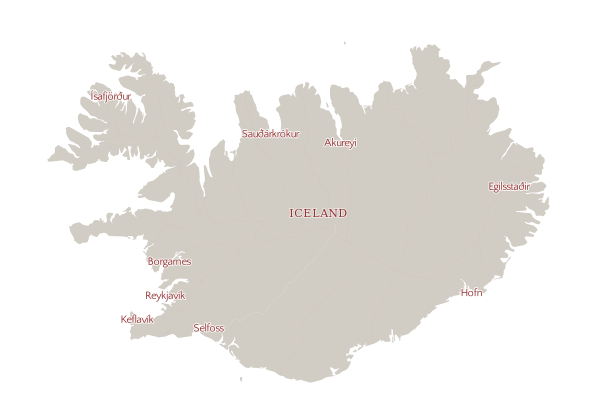 We catch a glimpse of where the Icelandic outlaws lived in the middle ages when they’d been banished. We might also be able to spot trolls, ghosts and other creatures that are said to live in the area and have haunted travellers for centuries. 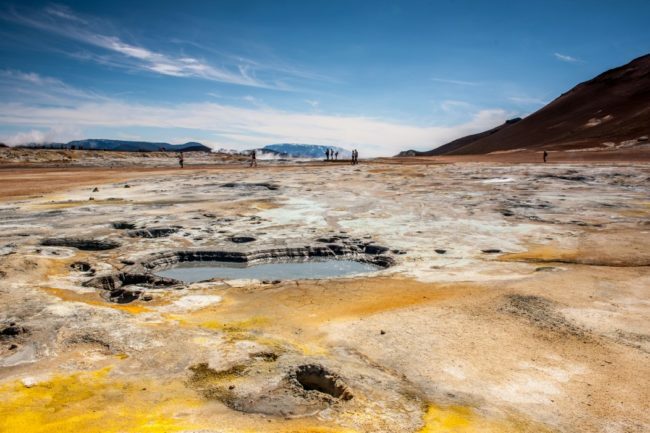 The Krafla Wilderness Walk tour is a small group hiking tour exploring the Krafla lava fields, created by the massive volcanic eruptions between 1975 and 1984. The Lake Mývatn area, both the nature and the society, are heavily influenced by the eruptions. The newly created lava fields give a unique opportunity to see first hand how geological activities sculpt the landscape. Our expert local guide will also give you a rare insight on how the eruptions influenced the people living in the area, being only a few kilometres from their backyards. The hike is slow through a rough terrain and we take our time enjoying the raw nature and panoramic scenery. On the Private Game of Thrones and Lake Mývatn tour we go behind the scenes of the popular series Game of Thrones and go beyond the Wall. At the same time visit some of the North Iceland’s highlights, such as Kálfaströnd, Dimmuborgir “Dark Castle” and Grjótagjá rift. We walk in the woodland of Höfði where we experience an incredible panoramic view over the land North of the wall, and can let our imagination run wild. Not to mention the great photo opportunities that this view offers. Authentic and personalized tour with a local guide, covering a number of shooting locations, but still with enough time to explore, recreate scenes of the series for yourself and interact with your tour guide on how they were created. Varies by tour. Please inquire. Day tours booked as “stand alone” and not in combination with an escorted tour, self-drive or accommodation booking may be assessed a booking fee. Ask your travel consultant for details. These tours can be as active as you’d like them to be! Ask us for more suggestions! We offer many more day tours than those shown above. If you have a specific interest we can match a tour to suit your needs in areas all around Iceland. Just ask. Activity tours can be added to our self-drive programs on a pre-booked and pre-paid basis, thus guaranteeing you space on the tours you want to do. Day tours do sell out well in advance during certain times of the year, depending on the type of tour and size of group. Avoid disappointment and book ahead! Many day tours can be quoted as private tours for your party – please inquire. We offer many more activity tours than those shown above. If you have a specific interest we can match a tour to suit your needs in areas all around Iceland. Just ask.